Tucked away in Shurdington is a beautiful detached property that now boasts a new vibrant kitchen and utility. It is always a pleasure to design a kitchen that embraces a colour palette. Mr & Mrs R selected Dajon to design, supply and install their new kitchen and utility after we successfully completed the renovation of their master bathroom. Although the foot print had to remain similar to the previous kitchen we were able to pack the new kitchen with clever storage solutions, design innovation and unique products. The client also benefited from Dajons employed installation service. Our dedicated installers undertook the works from start to finish to a high uncompromising standard. 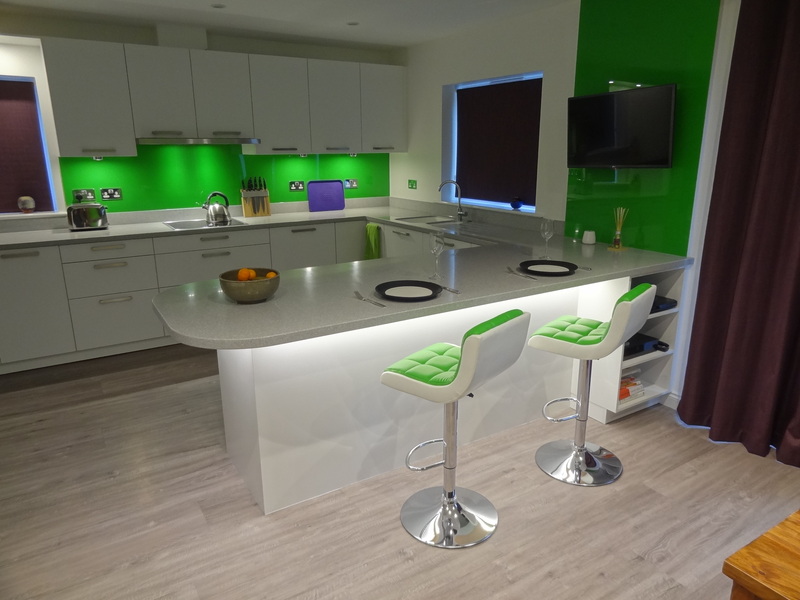 If you are looking to revamp your kitchen, bathroom or bedroom this year, why not pop into our showroom on Finlay Road, Gloucester and discover a range of quality products and a friendly team of designers.